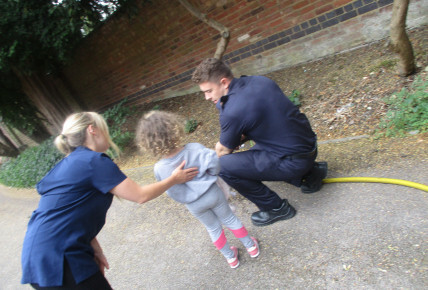 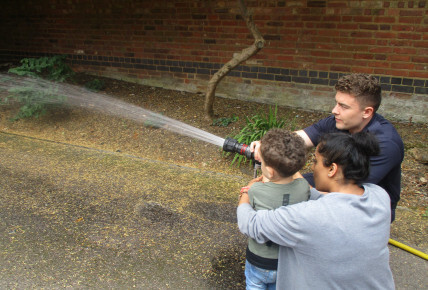 Bush Babies - Leicester Wigston Magna - When the Fire Engine came to Nursery! 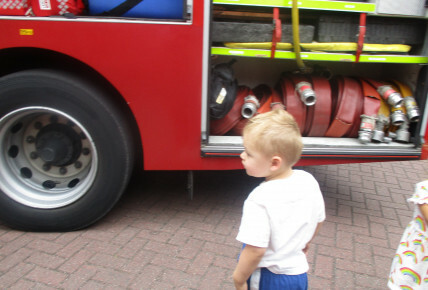 When the Fire Engine came to Nursery! 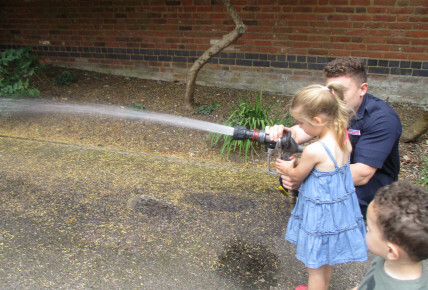 On Tuesday 17th July, some of the Fire Fighters from our local Fire Station came to meet the children and bought with them a Fire Engine. 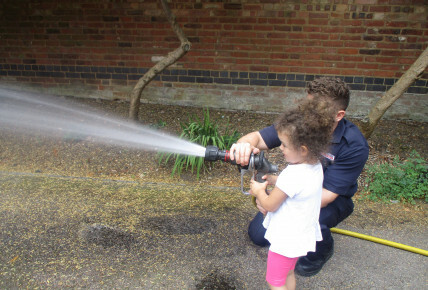 The children loved climbing in the Fire Engine and even got a chance to use the hose! 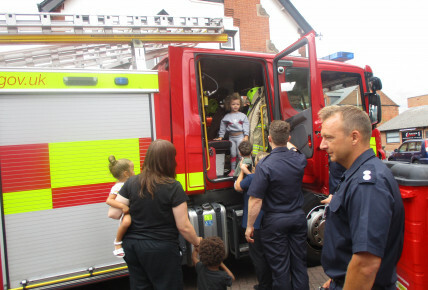 A great time was had by all, a big Thank You to all at Wigston Fire Station!